If healthcare is so expensive, why are so many hospitals running on such thin margins? The role of technology in ensuring the financial sustainability of hospitals and health systems. Wading into the debate around healthcare costs can feel like a risky proposition no matter where you fall on the spectrum of opinion. Yet it’s vitally important that we, as American consumers of healthcare, have a frank conversation about costs and revenue. If we don’t, we won’t successfully bridge the gap between today’s world, where many providers are still reimbursed based on each individual test, procedure or office visit, and tomorrow’s world, where nearly all care will be reimbursed based on patient outcomes or "value" (a combination of quality of care and improved patient health outcomes). If we simply avoid the topic, we’ll also be doing a disservice to the individuals and organizations who provide the care we all rely on at one point or another. Let’s first state the obvious: While all us are patients, we all play different additional roles as healthcare stakeholders. For example, consider the perspective of healthcare professionals who work at hospitals and health systems. Speak to anyone, at any level in the organization, and it’s apparent that what moves them is mission: patient care. Yet revenue is what enables the breadth of mission these organizations can accomplish. It’s what powers the purchase of next-generation surgical equipment. It’s what supports those additional clinicians who staff the newly opened urgent-care clinic; it’s what enables the groundbreaking of a new asthma center in an area that is currently underserved. American healthcare reimbursement is currently at an in-between stage. Some states are further along in the shift to value-based care/fee-for-value. Others are still predominately fee-for-service environments. That’s part of the challenge: Hospitals and health systems having to span two different worlds. This also occurs at the payer and plan level — for example, while a hospital might be aggressively moving toward fee-for-value on the government-payer front, the commercial payers they work with may (or may not) be approaching the shift with the same sense of urgency. True, large commercial payers are setting value-based care as their North Star goal (a Forbes article on Aetna provides a good example), but the change is so monumental that at some level it must occur gradually. But it’s not a question of whether the change is happening — it’s a question how best to manage it, because it’s certainly happening. Think MACRA (the Medicare Access and CHIP Reauthorization Act), think MIPS (the Merit-based Incentive Payment System, a component of MACRA), which together will reshape healthcare reimbursement dramatically in years to come. To borrow from a William Faulkner quote, the future isn’t even distant — it’s here. So what does this mean for hospital RCM? 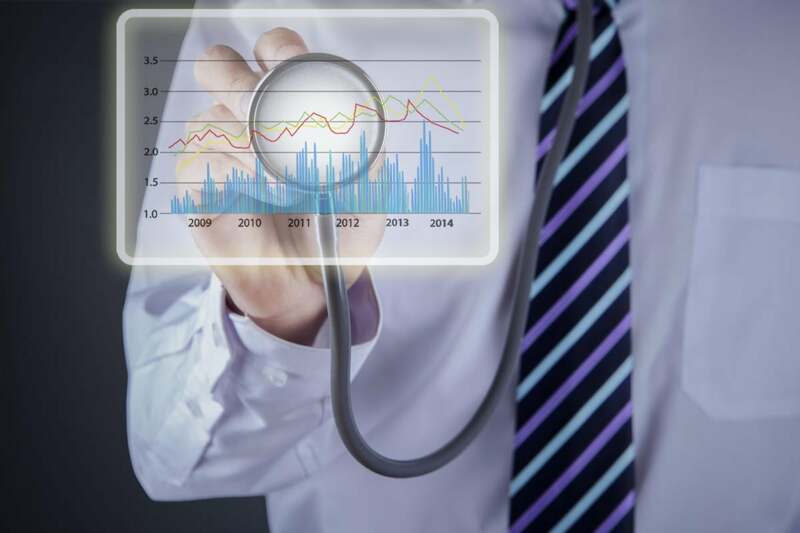 Machine learning and other forms of data science will necessarily take on a more critical role in healthcare finance and revenue cycle management (RCM). The increasing degree of complexity — combined with the already massive and ever-growing data sets involved — definitively answer the question of whether traditional, manual processes are a viable approach. Even if hospitals and health systems wanted to hire (and could support) hundreds of additional employees to manually review for missing charges, coding anomalies and outlier patient or payer accounts, those employees would not be able to keep pace with the millions (in fact, billions) of relevant data elements — to say nothing of the meaningful correlations and patterns that exist across the data. However, by leveraging a healthcare system’s own historical data, it’s possible to identify the normal revenue-cycle processes, model them, and then pinpoint the cases that exhibit anomalies. Technology can then make staff aware of the issues that truly require investigation, action and resolution — so that staff focus only on the cases that require intervention. We call this “working by exception.” And a number of healthcare providers are benefiting from technology solutions built around this concept. If we want U.S. hospitals and health systems to succeed — to sustain and continue to provide exceptional care — we must all take a hard look at the role of technology in supporting that success. Revenue is what enables their mission, and technology can strengthen their revenue by ensuring smarter, more efficient approaches to traditionally cost-intensive aspects of healthcare. When hospitals and health systems are empowered to operate more efficiently and develop more fiscally sustainable processes, the benefits are far greater than improved bottom-line performance. After all, the care-related investments that hospitals and health systems can make is directly correlated to their financial health — and with the right technology applied to the right data, both can be strengthened. Paul Bradley, Ph.D., is ZirMed’s chief data scientist. An expert in data-mining algorithms, Paul is at the forefront of advances in predictive analytics and how these new technologies are transforming the healthcare industry.